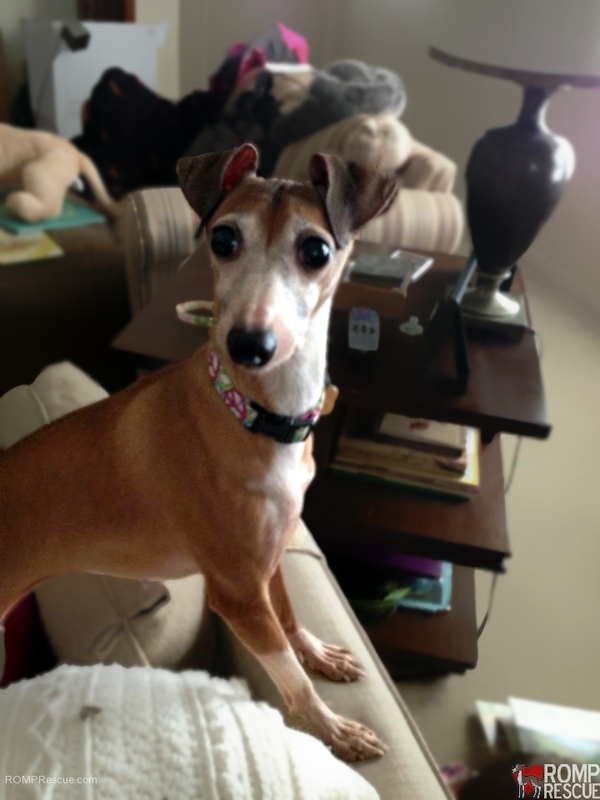 We are beyond excited to announce that Greta the Italian Greyhound Rescue from ROMP found her forever family earlier this March! 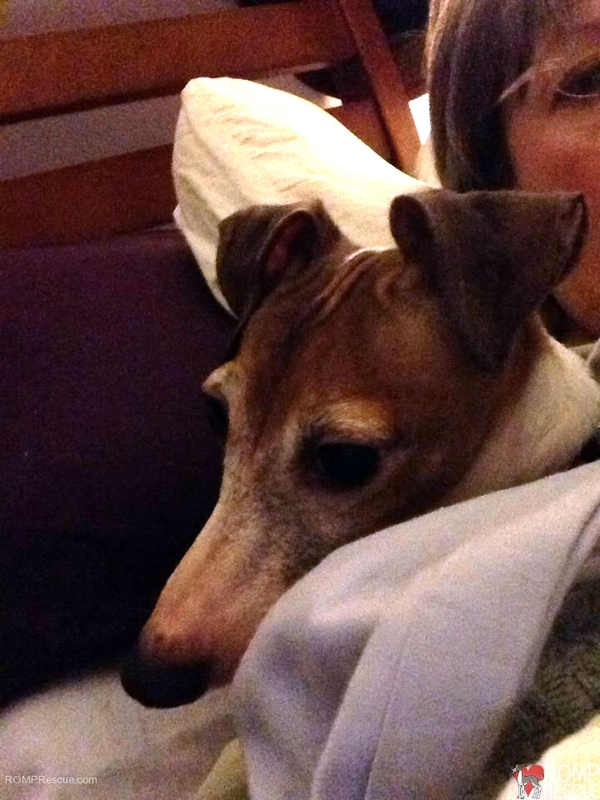 She is a adult Italian Greyhound rescue that will give many years of love to Linda from Indiana, her new furless-mom. 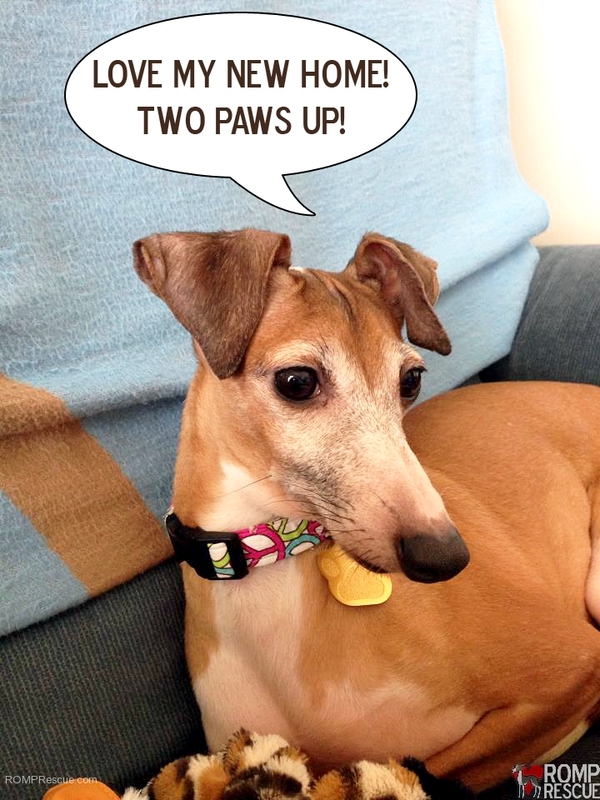 Linda formerly had Greyhounds and is excited to share her heart and home with another sighthound! Here are some photos from Linda, we can see the happiness in both their eyes and are so excited for all the memories ahead! Linda with Greta, the Italian Greyhound rescue, on adoption day! What a great addition to the family! 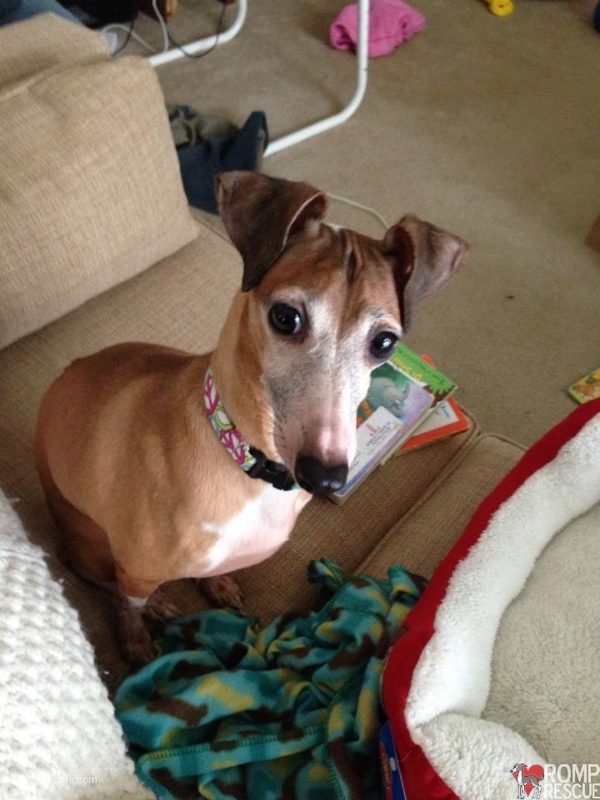 Greta the Italian Greyhound is settling in nicely in her forever home! What a happy dog! 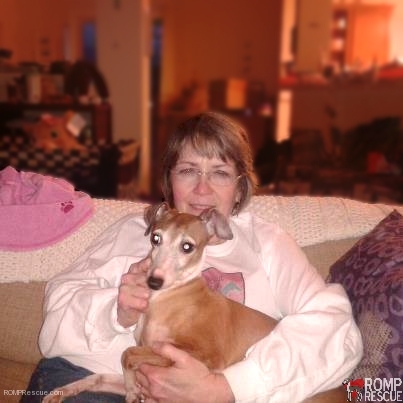 ROMP Italian Greyhound Rescue love forever family photos and updates, thank you Linda! 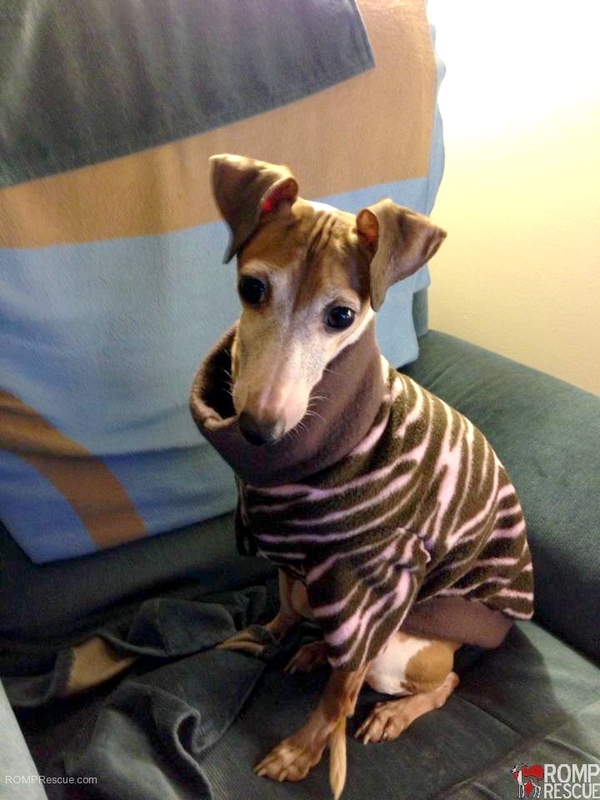 Not only is Greta the Italian Greyhound cute, she is spoiled and fashionable! Love the cozy fleece sweater – it looks great, Greta! Snuggling up with her mom, a match made in heaven! Finding her way under the covers in her new home, so happy they found each other! Enjoying life as a dog, as it should be! If you are interested in adopting a cutie pie like Greta, you can fill out our adoption application OR if you want to foster (we are ALWAYS looking for foster families) feel free to fill out the foster application form! Wishing Greta and Linda many more snugly days of bliss ahead! 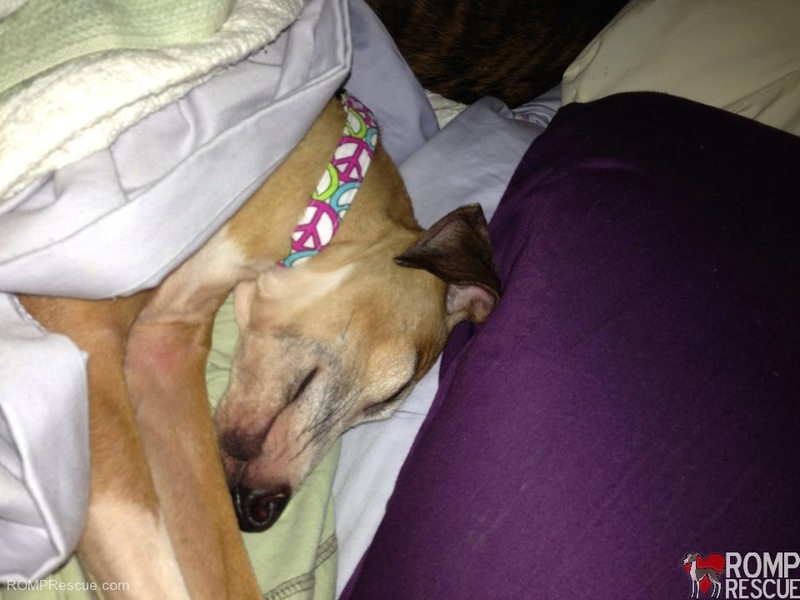 This entry was posted in ALL, Success Stories and tagged adopt, adopt italian greyhound indiana, adoption, adoption day, forever home, greta, ig, iggy, indiana, Indiana Italian greyhound, indiana italian greyhound rescue, italian greyhound, italian greyhound rescue, rescue, tan. Bookmark the permalink. So happy that Linda Valentine Bryant and Greta found each other! I met Greta on her 2nd day in her forever home. She is adorable!